My response was easy to identify: The lack of on-site tech support and the professional loneliness. Professional loneliness? Yes, it was tough being on my own without many other team members in various departments available for help. I sat in my office with lots of opportunity “out there” and daily confusion, frustration, and procrastination on what I should be doing. I second guessed many things and often by noon wondered if I was just wasting time. Benchmark against — how many calls a day was I supposed to make at the beginning? That’s when I realized I needed help. I leaned on two very important people, Melissa and Sharon, both successful business owners who stepped up to coach and mentor me. They had different areas of expertise that filled in my gaps and helped me focus on the activities that would yield great benefits. I fully credit my work with them to why I was profitable from month one. Now, as a 20-year business owner, I’ve helped hundreds of companies and teams. Whether I was working directly with the business owner or providing the training resources and tools for their teams — it’s become obvious that many people don’t have a resource to turn to when it comes to one of the most important, and yet tough, parts of growing their business: sales. You don’t have to figure it out all yourself. If you didn’t “grow up” in sales, are someone who would rather not have to sell at all, but know you need people paying for your service or product, or are in a company without the support and training you need, you don’t have to do this alone. The Sales Pro Insider coaching service provides you the opportunity to get expert guidance for your sales efforts. You’ll get an “outside” perspective with an unbiased viewpoint of what you are doing, how you operate, and what you can quickly do to earn more business. Its’ a flexible service so you get what you need when you need it. You identify two to three specific objectives to zone in on. We strategize, discuss, and plan for specific outcomes with accountability to take action. What types of objectives might we tackle together? Included are 55-minute coaching sessions and email support. Nancy immediately helped me get to the basic issue of my dilemma and identify ways to address it and move forward. She also provided me with some sales tools and additional readings. I knew exactly what my next steps were going to be, and I also had some answers for the future. Would you recommend to others? Why? Absolutely! I was getting overwhelmed by the scope of the bigger picture but Nancy helped me layout my next steps and now I can clearly see my original plan again. 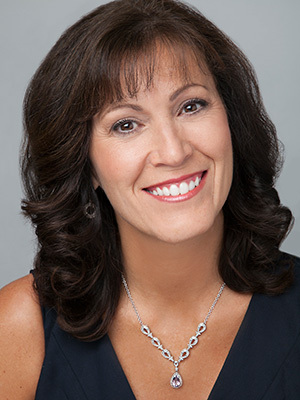 Nancy takes the time to research and understand details about your business before you speak and combined with the brief questionnaire you complete the time spent is very valuable and helpful. Nancy provided great rationale and a tangible to-do list to overcome the obstacles holding me back. I look forward to putting my list into action. You’re in control as you schedule time that works for you using the calendar scheduler. Once time is scheduled, you select the topic, we’ll provide any “pre-work”, you send information in advance to make our time together most productive, and we brainstorm and work through the plan for your conversations. Of course the key to the success of this approach is your action afterward! Sometimes what you need isn’t so specific. You need a longer-range view of how to approach sales for your business. Our strategic and business consulting services focus on short-term priorities for the next six business months. 1. Set goals with tactical actions including time frames and deadlines. 2. Strategize on specific systems and process areas to secure new and continued business. We spend focused time in the first two months to identify goals, gaps, and desired gains. Then we meet a minimum of one hour per month to review results, activity levels, and update or adjust as needed. Depending on your goals, you will identify specific actions which may include reading assignments, plans to complete, and updates to share on your activities. Your execution of the plan is where you will get your results. The accountability that comes with monthly reporting drives your actions and the results quickly follow. We begin with a 30-minute no obligation conversation to identify if we are a good fit to work together. If we’re a good fit, we’ll collaboratively identify the best coaching service for you. You’ll sign a Services Agreement and schedule your first coaching session. And off we go from there! 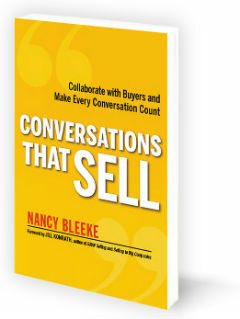 There is no better time than NOW to schedule your FREE 30-minute Sales Strategy Conversation. It’s the only way to identify whether we are a good fit to help you build your business.